The Artist D is furious that people do not celebrate Christmas all year round. The annual discussion of the festival of lights commences as D makes his argument to keep lights up forever. In addition to a brief explanation of why 2016 is no better or worse than any other year. It’s all in your heads. 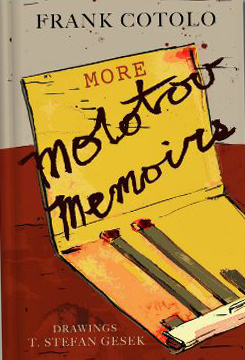 Another great addition to your library by Frank Cotolo & T. Stefan Gesek is More Molotov Memoirs now available at Blurb.com.